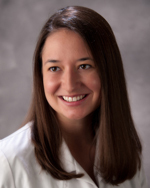 Jessica Slattery, CNP, joined the Family Health Centers of Community Memorial Hospital in 2011. She works with Dr. Michael Kooistra in the Edgerton Clinic. In addition to providing respectful, individualized medical care, she offers holistic health care options to her patients. She enjoys educating her patients and encouraging them to be responsible for their own health and well-being. Prior to receiving her nurse practitioner certification, Jessica worked in the cardiac/medical intensive care unit at Parkview Hospital, where she assessed and managed critically ill patients. She also worked in the emergency department at Columbus Children's Hospital/Nationwide Children's Hospital where she was part of the Trauma Team.